A New York Times Bestseller The author of the beloved One for the Murphys gives readers an emotionally-charged, uplifting novel that will speak to anyone who s ever thought there was something wrong with them because they didn t fit in. Everybody is smart in different ways. 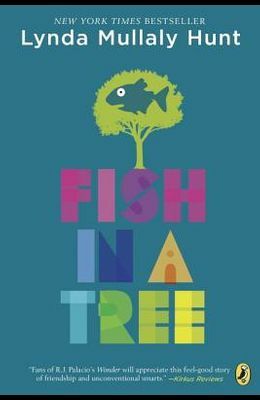 But if you judge a fish by its ability to climb a tree, it will live its life believing it is stupid. Ally has been smart enough to fool a lot of smart people. Every time she lands in a new school, she is able to hide her inability to read by creating clever yet disruptive distractions. She is afraid to ask for help; after all, how can you cure dumb? However, her newest teacher Mr. Daniels sees the bright, creative kid underneath the trouble maker. With his help, Ally learns not to be so hard on herself and that dyslexia is nothing to be ashamed of. As her confidence grows, Ally feels free to be herself and the world starts opening up with possibilities. She discovers that there s a lot more to her and to everyone than a label, and that great minds don t always think alike. From the Hardcover edition.